Firstly, you are probably wondering who and what the Saturday Ladies Bridge Club is… I don’t think any of us play cards… we are, quite simply, a Writers’ Group, like most other Writers’ Groups. We meet regularly, we talk about writing… and food… we talk a lot about food. We came together under the umbrella of the wonderful Romance Writers of Australia, so we do share a passion for romance writing and happy ever afters… and we’re very good at them! 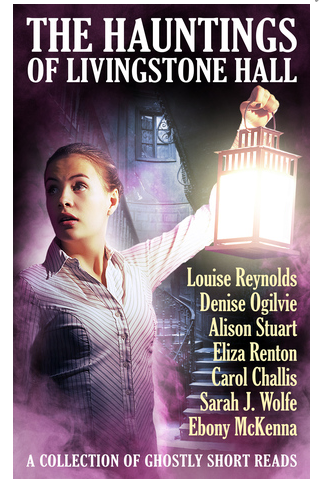 Then one day we had a rush of blood to the head and decided to put together an anthology of short stories… and – ta da- THE HAUNTINGS OF LIVINGSTONE HALL, magically appeared in every reputable book distributor in October 2017. Maybe not so magically… there was a process involved… that ensured THE HAUNTINGS OF LIVINGSTONE HALL appeared without any of us killing each other. We are thrilled to have been invited to share our writer wrangling tips as part of the Williamstown Writers Festival. Why do writers need wrangling? Have you ever noticed that creative people do things differently? Creative people work at their own pace on their own projects in their own world. To suddenly be thrust into a team situation, such as an anthology, can be incredibly challenging and daunting for an author. Dare we even suggest that some authors are known to have big egos too. 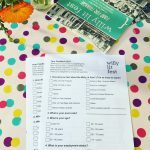 Tell us why you are at The Willy Lit Festival? Our lovely ‘Saturday Ladies Bridge Club (SLBC) Writing Group, which has three authors from Hobson Bay, have been invited to share our collaborative experiences in online publishing. Or as we like to call it, Writer Wrangling 101. 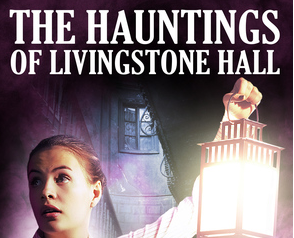 Together, we’ve published a spooky anthology called THE HAUNTINGS OF LIVINGSTONE HALL and we’ll be revealing secrets on how we got it done and lived to tell the tale. Willy Literature Festival has a great creative vibe and we’re keen to share that energy and learn at the same time. For our session on Saturday at 3.30pm, we’ll be showing how ‘romance’ authors can swap genres and write ghost stories. We’re keen to share our experiences and demonstrate the steps involved in the collaborative approach to achieve results. We’re giving examples of how more experienced authors can help debut authors along the rocky path of publishing and the dangers that lie for the unwary. What is your creative process? Do you have one? The creative process might include the following ingredients: Magic? Intuition? Bum Glue? Or it might be a combination of communication, planning, scheduling and deadlines. Which did we find the best? We’ll be revealing all! We’ll also be revealing the outfit choices of our main central character, Hector the butler, and how we dealt with these in each story! The festival theme is ‘from little things big things grow’, what has this meant in your life? It sprung from little thing like a fun comment at our Christmas gathering. “Hey, wouldn’t it be fun to write some ghost stories!” It gathered momentum, energy and ideas until it grew into a big thing and became published. Where did the ideas come from? How did we get going? How did we stay on track? How did we link the stories? How did we tackle the world of self-publishing? We have so much to share. Come along and join in the fun as we discuss the writing process and the exploits of our characters on Saturday 16 June at 3.30pm. Big things do happen! Describe Williamstown in three words. And if you are curious as to WHY we are called THE SATURDAY LADIES BRIDGE CLUB… you will have to come to our session to find out! Did I mention there will be chocolate…? For more about our session.